Swimming is a sport for all ages. It assists young folks to tone their muscles and grow wholesome and robust. For the elderly, there's no far better way to workout than choosing a Saudi Arabia Swimming Pool to escape from everyday routine. For Saudi Arabia and its vicinity, we're showing you all the registered pools, some of them have no GPS coordinates and can't be found on the map at the map. Please use the get in touch with details supplied at each and every pool profile to check if they are offering aquagym lessons, considering that is not so common to see an Aquagym in Saudi Arabia. Do you realize of any Pools in Saudi Arabia that needs to be listed here? Contact us!. Please make contact with the sports center in Saudi Arabia to check which activities are becoming offered and their timetables, since Saudi Arabia Pools may possibly have distinctive rules and fares than other locations. Regular users with the following Saudi Arabia Pools told us the most critical factor about swimming is to manage your breathing. Sometimes this is not achievable simply because we raise the neck to breathe and the body just isn't aligned. To avoid this, our head needs to be aligned with our spine all the time. 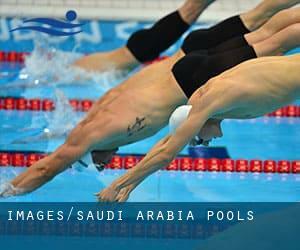 There are a few reasons why it is best to choose a heated swimming pool in Saudi Arabia. One of the most vital one relies on the importance of keeping the body temperature stable. If the water is too cold, your body will try to warm it up and you will lose strength to swim effectively. Enjoy the best indoor pools in Saudi Arabia and don't worry about the weather. These facilities are open all seasons and you can enjoy a swim at the same temperature every day of the year. One in the advantages of outdoor swimming in Saudi Arabia could be the possibility to sunbathe during the summer season. Taking it with additional care, sunbathing is healthy due to the fact introduces Vitamin D into the body, so the most effective choice seems to be switching among indoor and outdoor pools depending on the season. Let us tell you a secret to switch off while you will be in Riyadh: just choose a Swimming Pool in Riyadh and plunge into the water! There's no more productive method. It's difficult to visit Saudi Arabia with out dropping by Jeddah (with 2.867.446 residents). 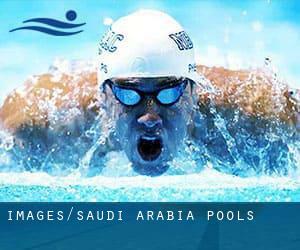 Currently Swimia is showing you all the Pool in Jeddah and also the closest pools located in its vicinity. Holding an estimated population of 1.300.000, Medina is one of the most important cities in Saudi Arabia. Check all the Pool in Medina and its surrounding area. Swimming is actually a wonderful idea to help keep your body active for the duration of your visit to Mecca (Saudi Arabia), or even if you are a local. Swimia assists you to find your closest Swimming Pool in Mecca. Airport Road , Taif . Swimmers like you reported 25 meters, Indoors. Unfortunately we do not have the email address of this Swimming Pool, but we can provide you with the phone number. Al-Hamra Corniche , Jeddah (Postal Code: 21531). This sports center offers 22.5 meters, 3 lanes, Outdoors. For this Swimming Pool, only phone number is number here. Between King Fahd Road and Olaya Street , Riyadh (Postal Code: 11491). Among all the activities offered by the center, for anyone who is interested in swimming you may enjoy 20 meters, Indoors. Just in case you would like to make contact with this Swimming Pool just before dropping by, we only know the phone number. Maazar Street , Riyadh (Postal Code: 11481). This sports center offers 26 meters, Outdoors. For this Swimming Pool, only phone number is number here.